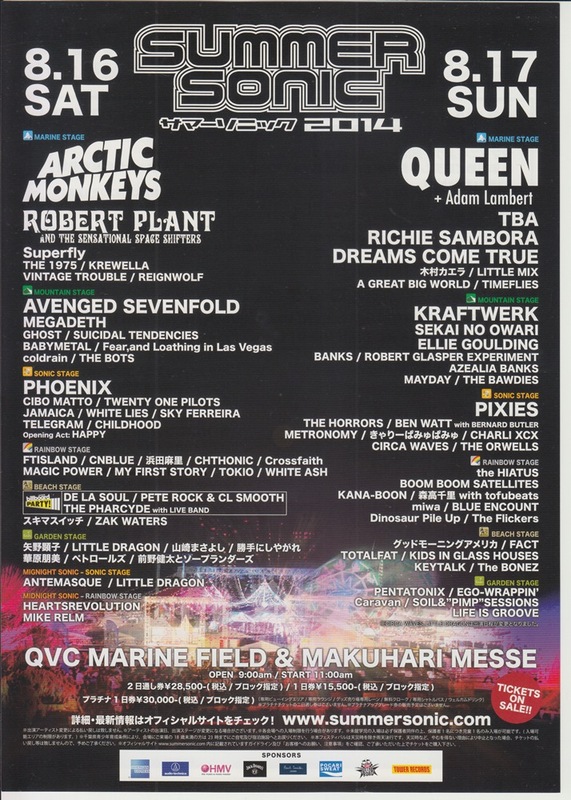 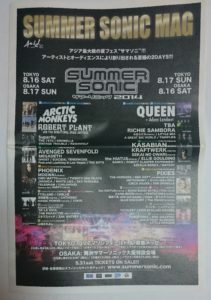 Summer Sonic 2014’s newspaper type flyer where RICHIE SAMBORA appeared as RICHIE SAMBORA featuring ORIANTI. 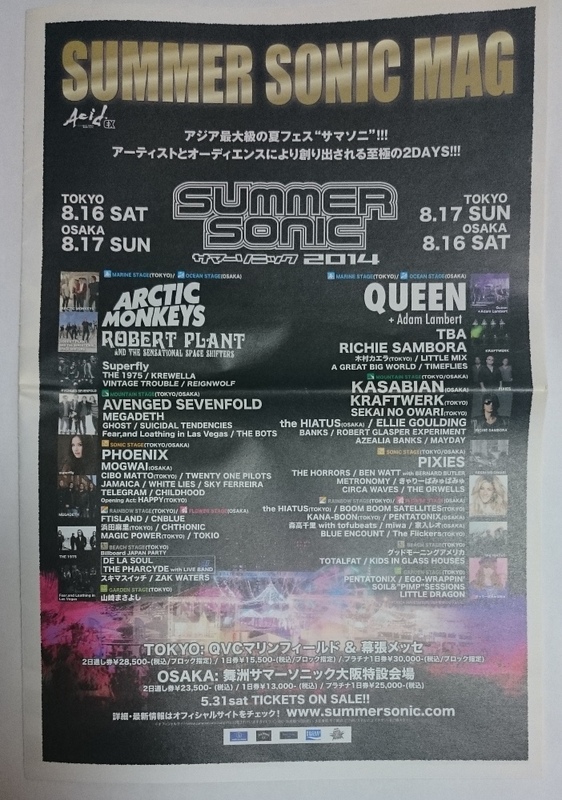 Tokyo version flyer of Summer Sonic 2014 which RICHIE SAMBORA appeared as RICHIE SAMBORA featuring ORIANTI. 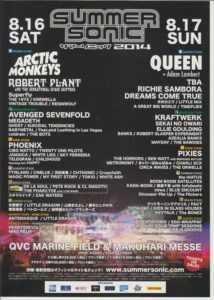 There was no name of RICHIE in the original appearance artist, the appearance was announced later, and appeared on the main stage (MARINE STAGE) on the second day on August 17.